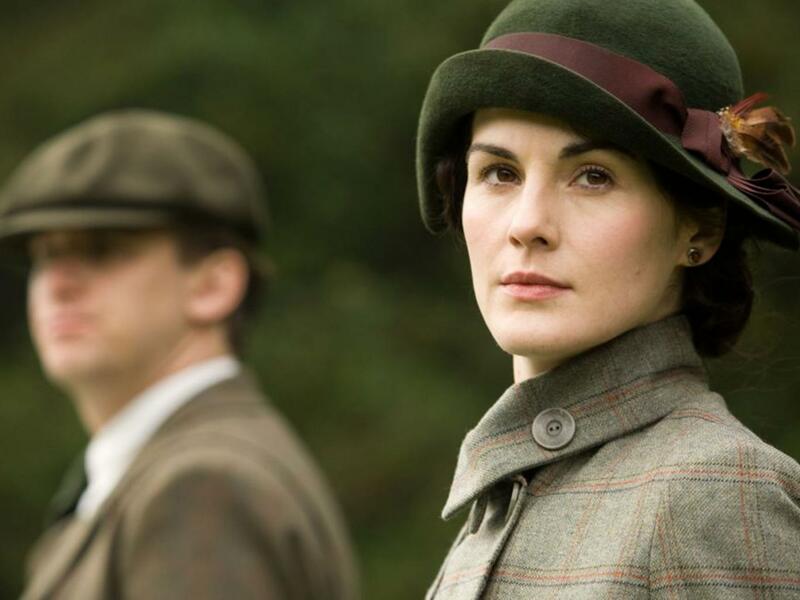 Among the many themes centered around the changing times in the popular PBS television series, Downton Abbey, women’s growing independence has remained a constant, if not a central focus. Such independence was not a circumstance experienced within a vacuum behind the walls of Downton, but rather, life at Downton provides context to the growing freedoms gained by women of all classes on both sides of the Atlantic. Among these many freedoms was the suffrage movement, a cause championed the Suffragettes. Suffragettes were members of women’s organizations in the late 19th and early 20th century which advocated the extension of the “franchise”, or the right to vote in public elections, to women. British suffragettes were mostly women from upper- and middle-class backgrounds, frustrated by their social and economic situation much like the Crawley women at Downton. For the United States the suffrage movement traces back to the 1840’s, but didn’t gain momentum until the late 1880s and early 1890s, when the nation experienced a surge of volunteerism among middle-class women—activists in progressive causes, members of women’s clubs and professional societies, temperance advocates, and participants in local civic and charity organizations. The tireless efforts of these women would eventually affect change. The first self-governing country to allow all women the right to vote was, in fact, New Zealand which did so in 1893. In England, women over the age of 30 who met certain property qualifications, were given the right to vote in 1918; 10 years later suffrage was finally extended to all women 21 and older. For the United States, few may realize that women over the age of 21 were actually allowed to vote in the western states/territories of Wyoming in 1869, Colorado in 1893, and both Utah and Idaho in 1896. By 1919 most states outside the South granted women suffrage, but it wasn’t until ratification of the Nineteenth Amendment, however, that the right was fully extended to white women across the U.S., and just in time for the 1920 presidential election too. Achieving the right to vote may have ended one phase of the women’s rights movement, but it set the stage for the equally difficult process of securing women a measure of power in local and national political office. Such was the challenge recognized by Alice M. Bentley (1859 – 1946). 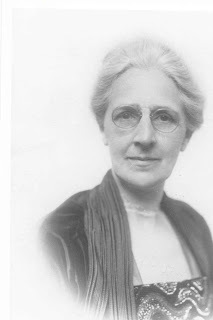 As a suffragette, Bentley strongly believed that women’s involvement in, not only voting, but also serving in public office could only make the political system that much better. Born April 12, 1859, in Wayne Township, she attended public schools before then graduating from Edinboro State Normal School (now Edinboro University of Pennsylvania) in 1883. Born April 12, 1859, in Wayne Township, she attended public schools before then graduating from Edinboro State Normal School (now Edinboro University of Pennsylvania) in 1883. 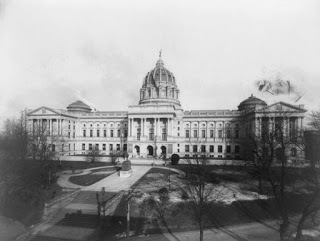 For the next twenty years Bentley would teach elementary school in Guys Mills and later Meadville before working as a solicitor for the Mutual Life Insurance Company of New York. While the 1920 presidential election marked a milestone for women’s rights, Bentley was disappointed by the promised impact of the woman-voter on the outcome. Not one to sit passively by, Bentley decided to run for the General Assembly of the Pennsylvania Legislature in 1922 which she won at age 63. With the strong support of educators and local business leaders, Bentley was among eight women who were the first women to serve as a state representatives, all as Republicans. 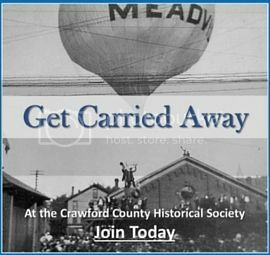 She would hold this position for three, elected terms representing Crawford County until 1928. Miss Bentley humorously described the experience of running for office and sewing in the legislature. Out of the 50 (there actually were only 38) women candidates for the Assembly in Pennsylvania eight women were elected. She is proud of the record of Crawford County. 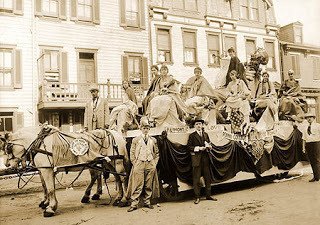 In 1921, a woman was elected for Jury Commissioner; in 1922 women were elected to the county committee, and in 1923 a woman was elected to the legislature. Several minor Court House offices were also filled by women. No woman [noted Bentley] who has run for office in Crawford County has been defeated. Bentley’s presence and leadership proved beneficial as she would become the first woman to serve as Speaker Pro Tempore as well as the first to chair a committee (House Educations Committee). During her time in office she also helped found the National Council of Republican Women. In 1929, Bentley eventually retired, splitting her time between her home on Arch Street in Meadville and St. Petersburg, Florida. She died in 1946 and was buried in the Mount Hope Cemetery. In the wake of her efforts, Bentley helped usher in the change that would result in a long line of influential women leaders in our state’s government.